Richard Nikolaus Eijiro von Coudenhove-Kalergi (German: Richard Nikolaus Eijiro Graf Coudenhove-Kalergi; November 16, 1894 – July 27, 1972) was an Austrian politician, geopolitician, philosopher and count of Coucenhove-Kalergi, who was a pioneer of European integration. He was the founder and President for 49 years of the Paneuropean Union. His first book, titled Pan-Europa was published in 1923, contained a membership form for the Pan-Europa movement. 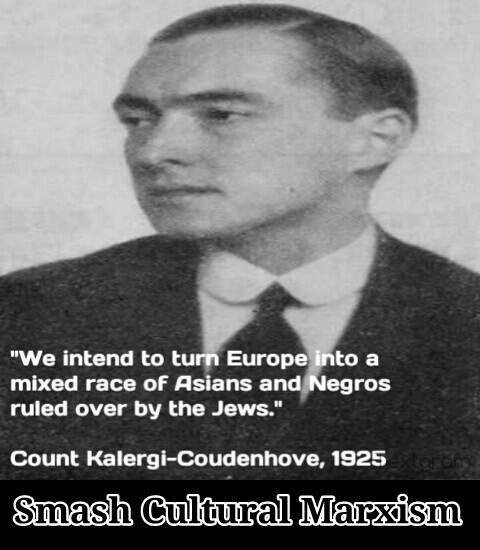 Coudenhove-Kalergi’s movement held its first Congress in Vienna in 1926. In 1927 Aristide Briand was elected honorary president. Personalities attending included: Albert Einstein, Thomas Mann and Sigmund Freud. He was the first recipient of the Charlemagne Prize in 1950. The 1972–1973 academic year at the College of Europe was named in his honour. Coudenhove-Kalergi also proposed Beethoven’s Ode to Joy as the music for the European Anthem. As we can see above, from Wikipedia, he was no doubt a very influential guy. So where did he want to take us, where are we going, so to say?